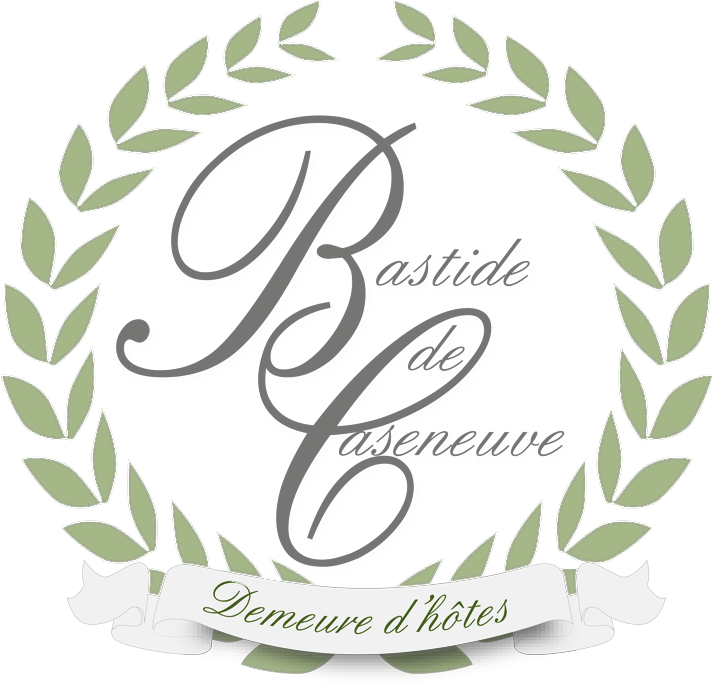 Welcome to "La Bastide de Caseneuve" to enjoy absolute calm, relaxation and rural landscapes. Having been totally and sympathetically restored the Bastide de Caseneuve is located close to the base of the 12th century castle of Caseneuve, and from its gardens and terraces offers exceptional views of the "Monts de Vaucluse" and the montagne de "Lure". Its library/lounge complete with Provencal fireplace, its large kitchen dining room, and its four guest rooms all combine to offer a haven of peace and tranquillity. Breakfast and dinner* is served on the terrace during the summer months. You will be able to taste our home-made jams and pastries as well as our Provencal specialities created using local produce. During the winter months you will be able to make yourself at home in a comfortable armchairs in front of the fire, where we will be delighted to serve you with tea and coffee and a selection of biscuits. You will be able to taste our home-made jams and pastries as well as our Provencal specialities created using local produce. During the winter months, you will be able to make yourself at home in comfortable armchairs in front of the fire, where we will be delighted to serve you with tea and coffee and a selection of biscuits. The village : Caseneuve (Vaucluse - 84750) with its medieval castle, its “son oratoire” or Oratory which dates from 1830 and is the largest in Provence, its traditional stone houses, and its streets enlivened by the vibrant colours of Hollyhocks. The Rooms : 4 spacious bedrooms, all with bathrooms and separate toilets, and all equipped with hair-dryer, and Wifi. Breakfast included. Diner : Diner is served in the evening with reservation and with 6 people on the table. Please refer to the tarifs page. Ammenities : Boutique, Lounge library with fireplace and large outside terrace, private internet space, and a garden with wonderful views of the mountains of the Lure and Vaucluse, an outdoor pool open from april 30th till october 1st (heated from mid-may until mid-september with weather situation). Services : Parking is 20 metres from the property. Languages spoken are French, English and Italian. Annual Holidays : Please refer to the tarifs page. Very Close to : Apt, Saignon, Castellet, Saint-Martin-de-Castillon, Viens, Gignac, Rustrel and its “Colorado provençal”, Gargas and its “Carriere des Ocres” (Ochre Quarry) and Roussillon and its “sentier des Ochre” (Paths of Ochre). Principal towns: Cavaillon (43 km), Carpentras (54 km), Avignon (63 km), Orange (85 km), Forcalquier (37 km), Manosque (35 km), Sisteron (89 km), Aix-en-Provence (70 km), Marseille (92km). Stations and Airports : Avignon TGV (60 km), Avignon “Caumont” Airport (58 km), Aix-en-Provence TGV (80 km), Aix-les-Milles Airport (77 km), Marseille Provence Airport (97 km).